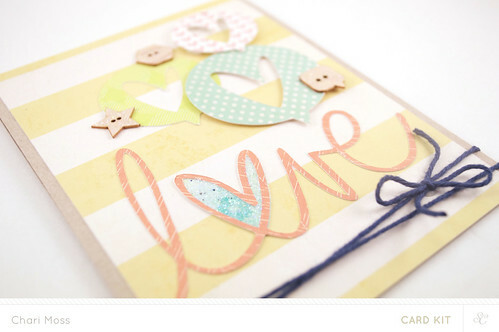 I'm back with some more Studio Calico projects using the new Sugar Rush card kit as well as the Taffy Add-On. I also did some digital die cutting which is a first for me! I love the tiny polka dot paper in the Taffy Add-On kit. 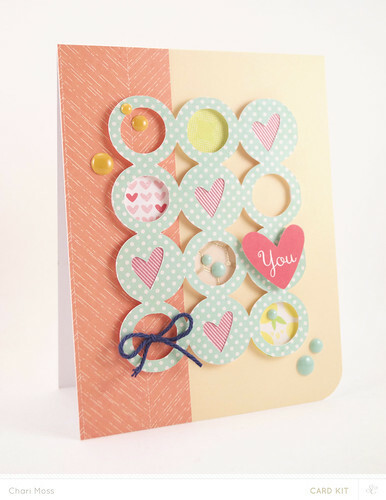 I used the heart and circle 3x4 digital cut file to cut out the polka dot paper then I punched 1 inch circles from other various papers from both the Sugar Rush main kit and the Taffy Add-On kit to place behind some of the open circles. I used pieces of the pink grosgrain ribbon to adhere to the back of the die cut behind the heart cut outs. I popped the whole die cut up on foam adhesive. I cut the heart out from one of the images in the main card kit paper pad and popped it up on foam adhesive also to create a focal point. 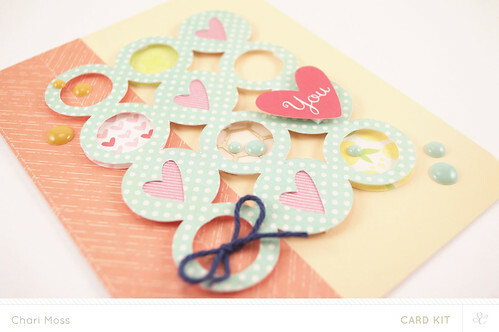 For my second card I used the Love You cut files to create some more die cuts in different sizes. I layered the word bubble cut outs with different thicknesses of foam adhesive to create a look of many layers. I also layered one of the die cut hears behind the "o" in love which it fits behind perfectly! I covered it in stickler for some sparkle. I covered the wooden buttons with wink of stella clear glitter as well. I finished it off with the navy twine around the bottom to anchor the whole design. Thanks for stopping by today! 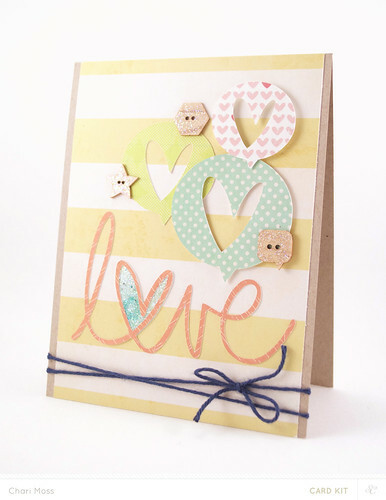 Can't wait to see what everyone creates with the new Sugar Rush card kit and Taffy Add-On kit.